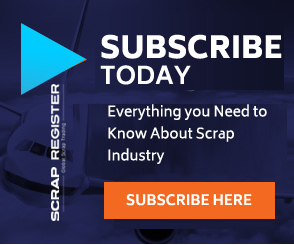 NEW YORK (Scrap Register): United States scrap gold prices continued to gain on the Scrap Register Price Index as on Wednesday, while gold futures prices at New York Mercantile Exchange fell a day after the commodity settled at its highest level since July on the back of dollar weakness. The major gold scrap commodities prices including 9ct hallmarked gold scrap, 14ct hallmarked gold scrap, 18ct hallmarked gold scrap, 22ct hallmarked gold scrap, 9ct hallmarked gold scrap, 14ct hallmarked gold scrap, 18ct hallmarked gold scrap and 22ct hallmarked gold scrap on the Scrap Register Price Index gained on Wednesday. The 9ct hallmarked gold scrap, 14ct hallmarked gold scrap, 18ct hallmarked gold scrap and 22ct hallmarked gold scrap prices gained by 0.82 percent to 449.559 an ounce, 701.311 an ounce, 899.117 an ounce and 1098.122 an ounce respectively. The 9ct non-hallmarked gold scrap, 14ct non-hallmarked gold scrap, 18ct non-hallmarked gold scrap and 22ct non-hallmarked gold scrap prices advanced to 425.227 an ounce, 663.354 ounce, 850.454 an ounce and 1038.687 an ounce respectively. The February gold contract on the COMEX division of the New York Mercantile Exchange dropped by $4 to settle at $1,242.60 an ounce, following the highest finish for the contract since July 25 on Tuesday. Some market participants were attributing gold’s retreat on the session to investors selling some of their holdings after Tuesday’s healthy gain.